With a fantastic new design free spins section, two sub-quests (one linked to the free spins game) all presented in superb 3D graphics with earth-shattering sound, Microgaming’s new release slot this April, Dragon’s Myth will certainly breathe fire at the competition. 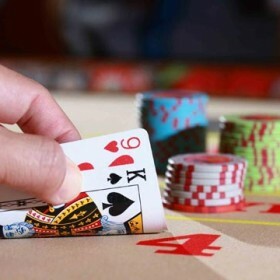 Dragon’s Myth is a 20-payline slot that is fixed, but players can play for as little as 0.20 per spin, which means it is a game for the lower rollers, as well as the higher. In the slot, you follow the adventures of our heroine female protagonist in her quest to catch the four dragons, that are roaming across each of the five reels. If our heroine can capture all of the four dragons, by landing their symbol in the bottom right corner of the reels, then you’ll win a superb cash prize. 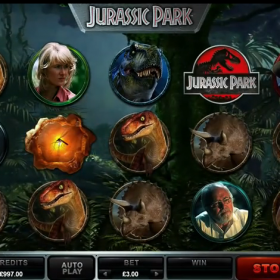 While the base game is perfectly enjoyable, the slot really comes to life when you get into the free spins round. 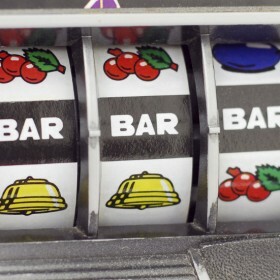 To do this you land 3, 4 or 5 scatter symbols across the reels, which triggers either 10, 15 or 20 free spins respectively. However there’s a couple of other added bonuses to take note of, firstly you can win with combinations left to right and right to left across the reels on any payline and also one of the Free Spin symbols turns into a bonus symbol for this feature. The reason for this is that if you land a bonus symbol during free spins you enter the Dragons Cave Free Spins round, where you receive an additional 3 free spins, plus you can select a shoot symbol at the start of each round which acts as a wild symbol. Land any shoot symbol in the Dragons Cave round and you can add an additional fixed wild and get three more free spins. 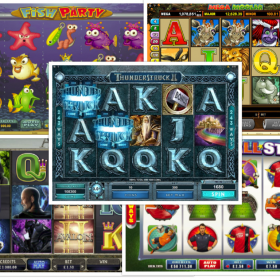 Dragon’s Myth looks like being a huge hit this April and you can play it at any of your favourite Microgaming casinos. Next article No Need for An Olympic Breakfast at Little Chef, When You Can Have a Big Chef Instead!